the basin is 6186 km 2, of which 4400 km 2 falls within Kerala and the rest in Tamil Nadu.71% of Bharathapuzha flows through Kerala. It originates from Kovittola Betta in the Kundra reserve forest of Tamil Nadu in the Western Ghats at an altitude of about 1,100 m above mean sea level and ﬂows westward. It flows through Coimbatore district of Tamil Nadu and through Palakkad gap it enters Palakkad, Malappuram and Thrissur districts of Kerala and finally empties into the Arabian Sea at Ponnani. 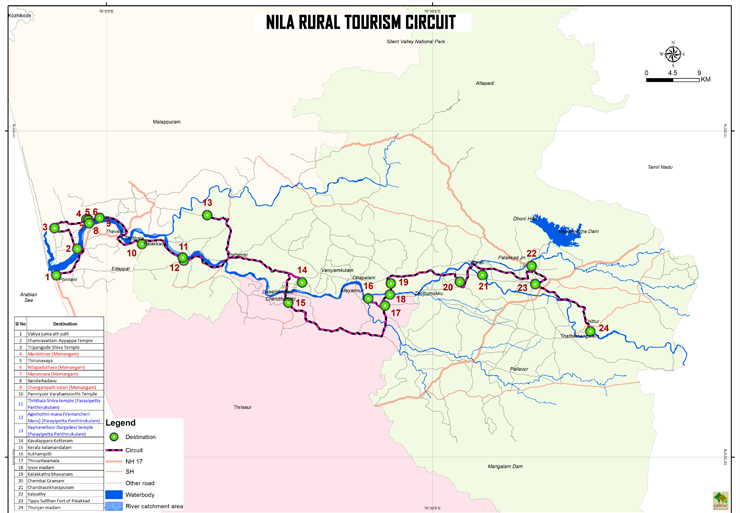 The plan focuses on an integrated and sustainable tourism development of Nila to elevate tourism as an instrument promoting overall socio-economic development of the region giving due consideration to river conservation. The tourism potentials/ resources in the region identified will be developed as theme based tourism circuits with effective dispersal of its economic potentials all over the region. Special focus is put to identify and categorize different livelihood opportunities for the local people. Innovative steps will be taken to identify schemes to preserve and promote culture, heritage and bio diversity to bring tourism as a tool for economic benefits. The master plan will address the regional as well as micro level issues of the destinations identified. Each destination shall be taken independently to identify the issues problems, gaps and propose infrastructure development projects for tourism development. 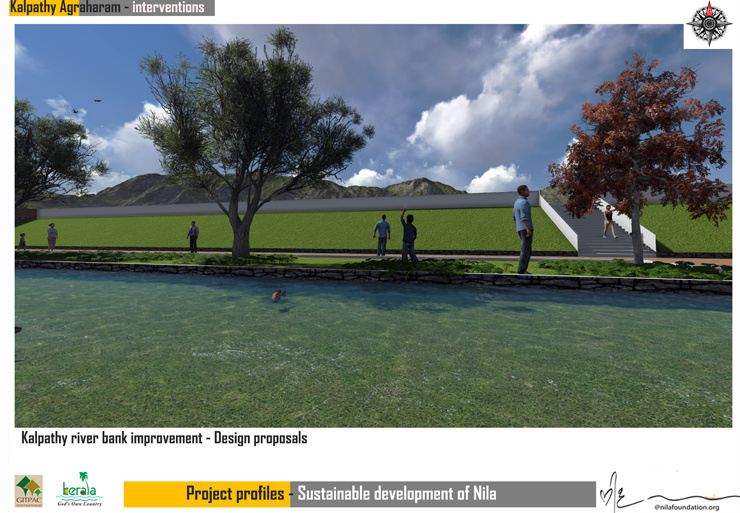 The Master Plan furnishes the detailed study of various settlements and communities that thrived along Nila, historic and cultural monuments, temples, art forms etc. Interventions are formulated and proposals are framed out after detailed SWOT analysis of each selected destinations. 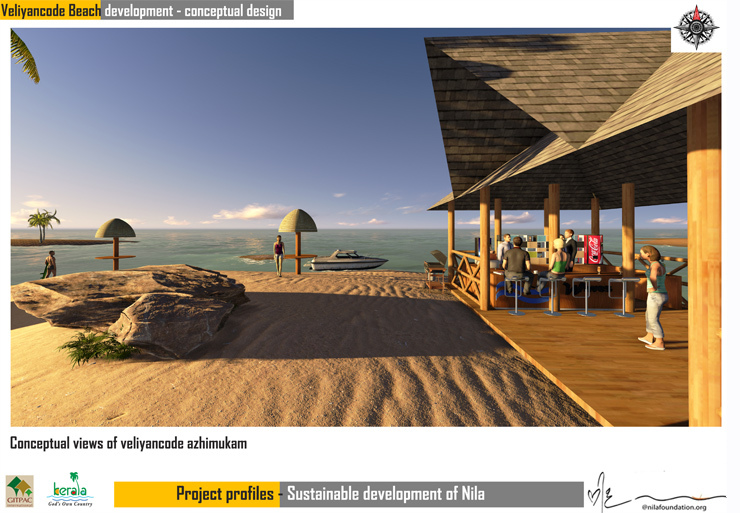 Proposals are made keeping in mind the traditional values of each destinations.